Once your practice has launched a website, the next step is to measure the website's success (or failure). 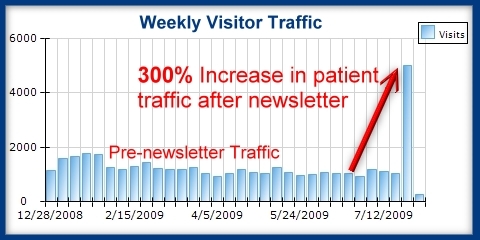 Website traffic reports are similar to report cards that help measure the progress of your website. MMA tracks this data for our clients. We can compare your website statistics with practices of similar demographics including specialty, locality, size, urban or rural, and other demographics. Our firm will help you analyze your data to identify opportunities to improve your website traffic, and ultimately bottom-line. Contact MMA today at 770.951.8427 to learn more.